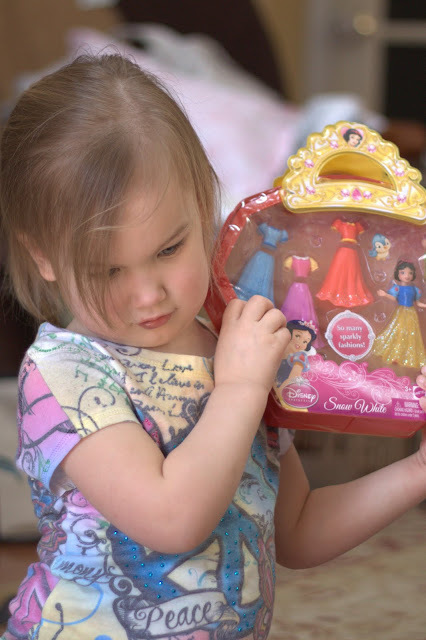 Little Miss is turning 3 this coming Wednesday...eeeeks! We got home on Saturday just in time to meet the mailman with his special delivery. 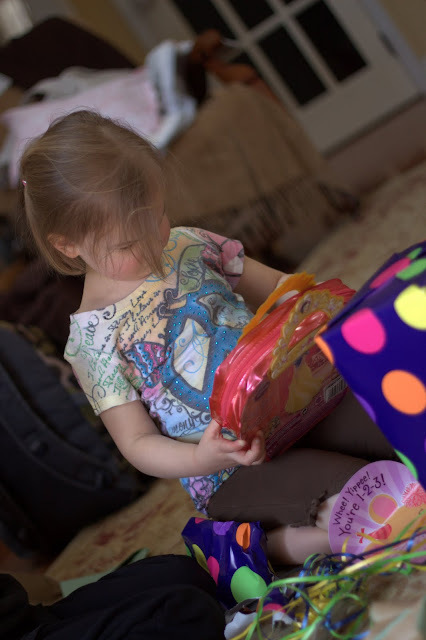 Little Miss' birth family sent gifts for her birthday, along with some Easter gifts. They even included gifts for E; both the kids were thrilled (of course-who doesn't love getting packages in the mail?). Excuse the long bangs...Little Miss lost her clip before the photos.